Oh. My. Goodness. I made the Splitcoast CAS team!!! AAAHHHH!!!! I seriously couldn't believe I was reading my name...I think I looked at the announcement for a full two minutes before it sunk in and my mouth fell open. So excited! This fun tie image and sentiment is from Sweet Stamp Shop, It's a Man's World. I colored the tie with Copics and layered in on a heavy weight cardstock from Wplus9. The paper on the bottom is from Core-dinations, it's the Tim Holtz Kraft Core collection (love this stuff and it's on sale!) The Core Collection cardstock was embossed and then I used the Sanding Block to lightly remove some of the blue. So...our first challenge will be posted on Monday, and it's a super fun one, so don't miss it! Hi everyone! I have a card posted on the Sweet Stamp Shop blog today for their cross promo blog hop with Core-dinations and Petaloo! Prizes involved! Hop on over to check out all of the details! Love the products used on this card? You can get them at eclectic Paperie, see links below! No Petaloo (yet) but we have Maya Road! One more day until the big CAS DT reveal! This is my final card for the last challange, which was an inspiration photo. The photo was sport-themed with orange and navy polka dots and stripes. I loved the color combo so I incoporated those colors in my banners and flowers. And if you look closely you can see that I embossed the navy cardstock with a notebook embossing folder, mimicking the stripes from the inspiration photo. This great floral image is from Sweet 'n Sassy and it's called Flower Field. 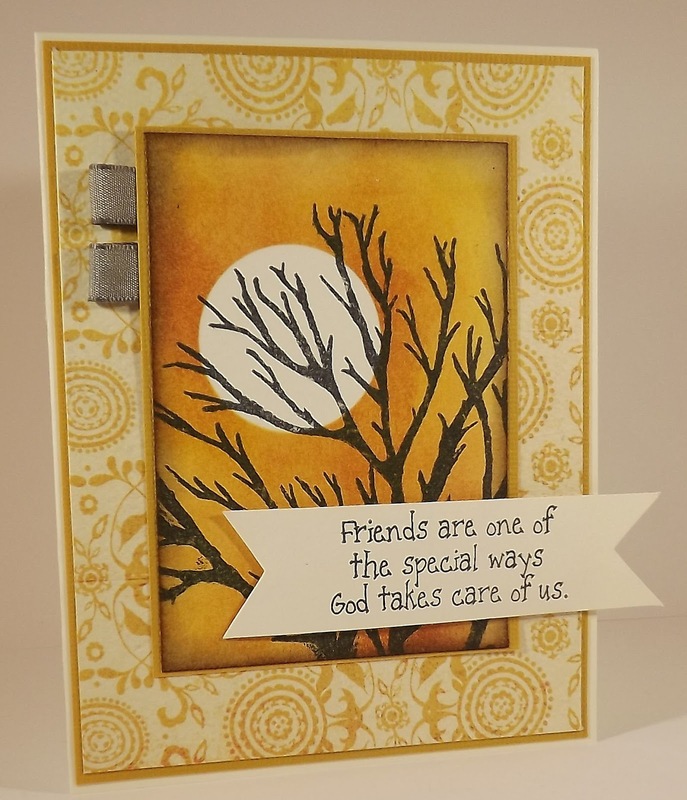 This is a great stamp to use as a background stamp or as a main image, as I did on my card. 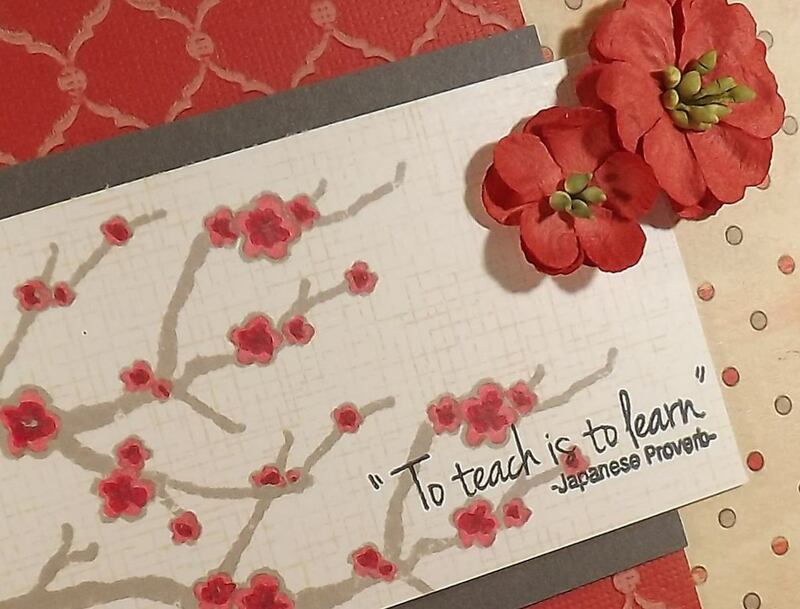 The sentiment is actually from another SNSS set, Leaf Silhouettes. 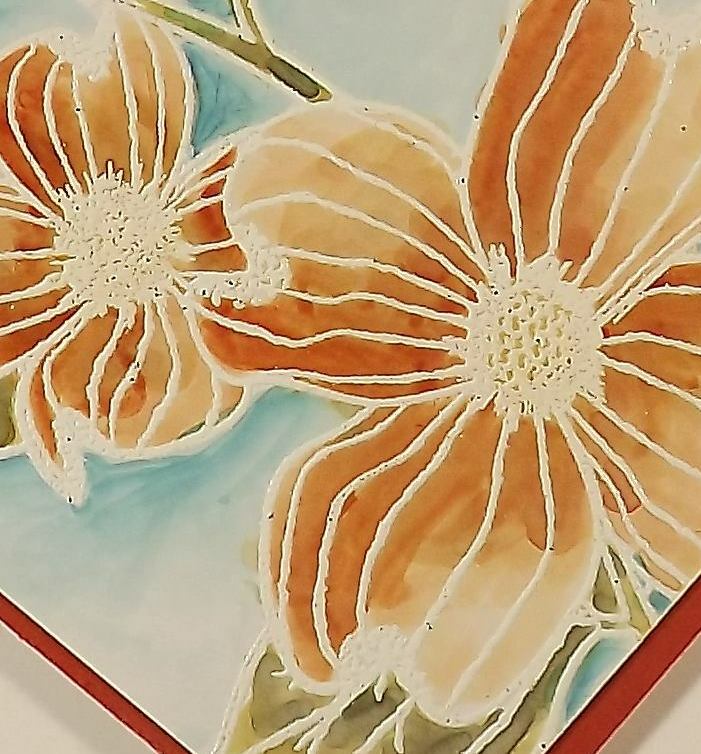 The image was colored with Copics and the main floral portion was popped up with foam tape. 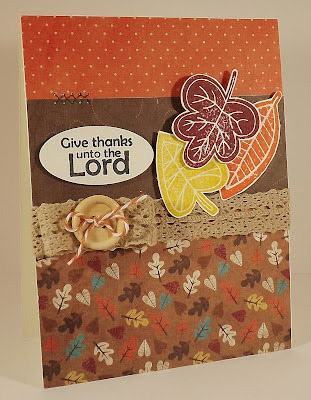 Sharing a card that I created for the eP blog last week using some of the new Market Street Stamps. The image I used on this card is from the Growth set. I colored with Copics and paired the image with designer paper from Authentique, buttons from Buttons Galore (Kiwi Fruit) and ribbon from Papertreyink. 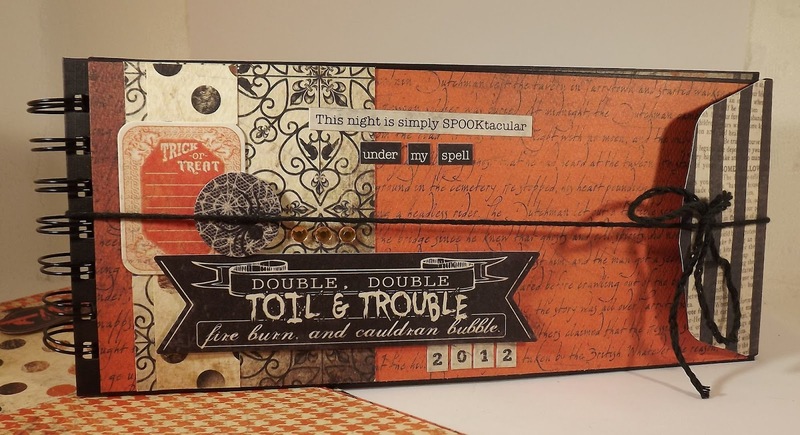 The background paper was embossed with an embossing folder from Tim Holtz. Busy week this week...new card on the eP blog tomorrow, featuring some brand new paper and a Sweet Stamp Shop blog hop on the 30th! Be sure to check back and enjoy!! Why do I do it to myself? I'm trying out for the CAS design team on Splitcoast again. Yes, it's the fourth time (at least) and now I'm busy running eP but still...I figured I needed to give it one more try....So here is my card for the second round. The challenge was to create a card using our three favorite things. My three favs right now? 1) Sticky Back Canvas! Can't get enough of it! 2) Distress Stains - Didn't think I'd like them but I LOVE them! 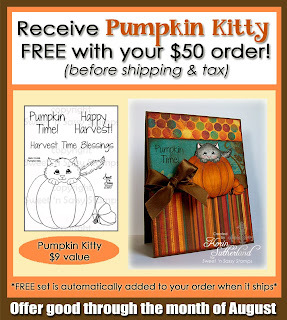 3) Silhouette images - And Sweet 'n Sassy has the best silhouette stamp sets out there! 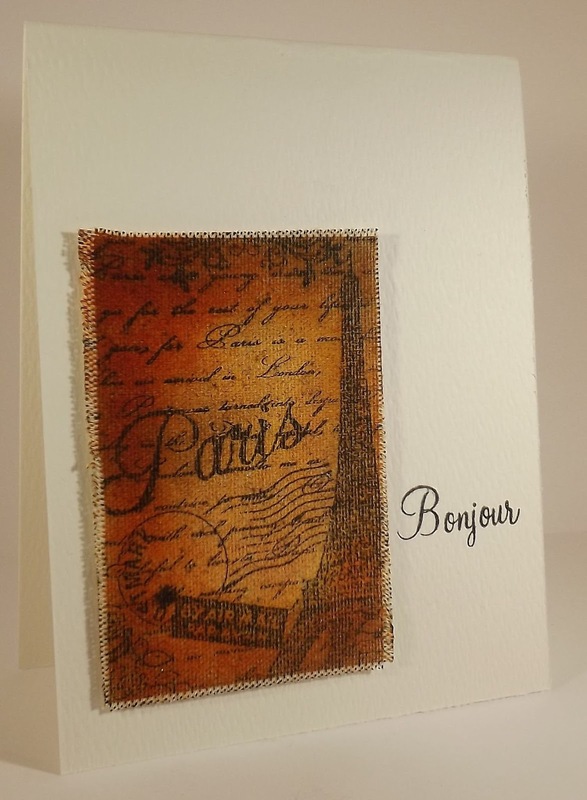 NEW - eKits at eclectic Paperie! 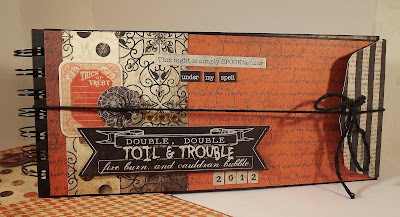 Our very first kit is "Toil and Trouble" and it features beautiful paper, stickers, and embellishments from Authentique, an envelope album and metal brads from Graphic 45, rhinestones from Kasier Craft, and Stickles (yes, you always need bling!) from Ranger. 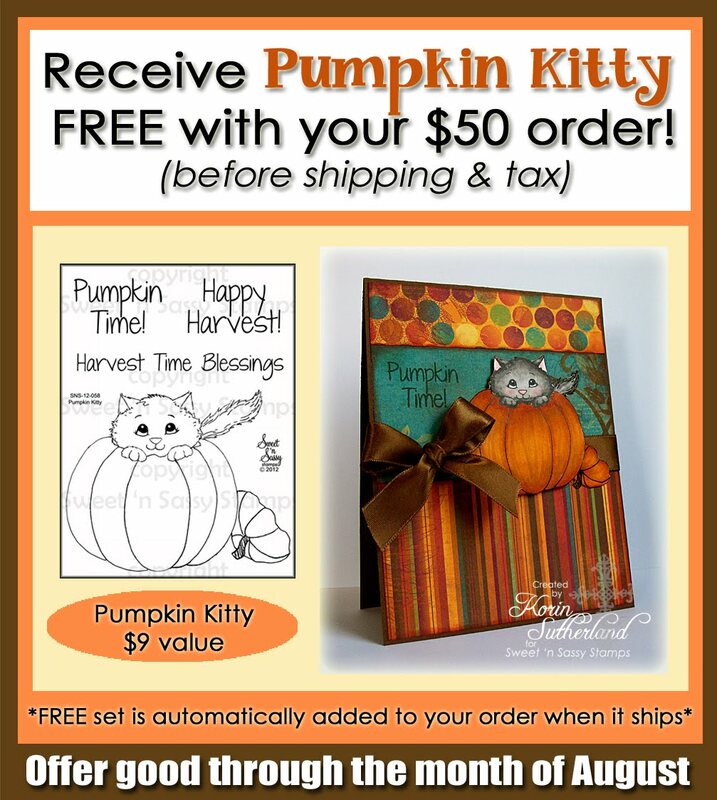 The kit also includes full color photos and instructions on how to put the album together. All this for only $24.99!! These kits are limited in quantity and once they're gone, they're gone so if you're interested...grab one fast! The Graphic 45 envelope album features 11 pages, plus the front and back cover, and five pockets. This is a fun size album...9" long and 4" wide, leaving you lots of space of more embellishing (you're going to have lots of goodies left over in this kit) and it's the perfect size for 4"x6" or smaller photos. I've included a few photos of the pages and one of the envelope inserts. My guess is that you can fit anywhere from 16 to 30 photos in this album! What a great way to capture Halloween memories. This would even work well as a gift for someone who goes all out on Halloween and wants to remember the event. Stop by the store and grab a kit or just have a look around at our new products! Then stay tuned for more news on future kits...we have some exciting plans in the works. Wow...The day of the new eclectic Paperie reveal has finally come! It's been quite a journey and a mad dash to get a new site designed and loaded, full of new products, in just three weeks! I'm so excited to finally be able to share the new design, new products, and our amazing new team!! Sit back and enjoy today's blog hop and all of the beautiful artwork along the way! Be sure to stop by the eP blog to read all about today's specials, sales, and prize opportunities! 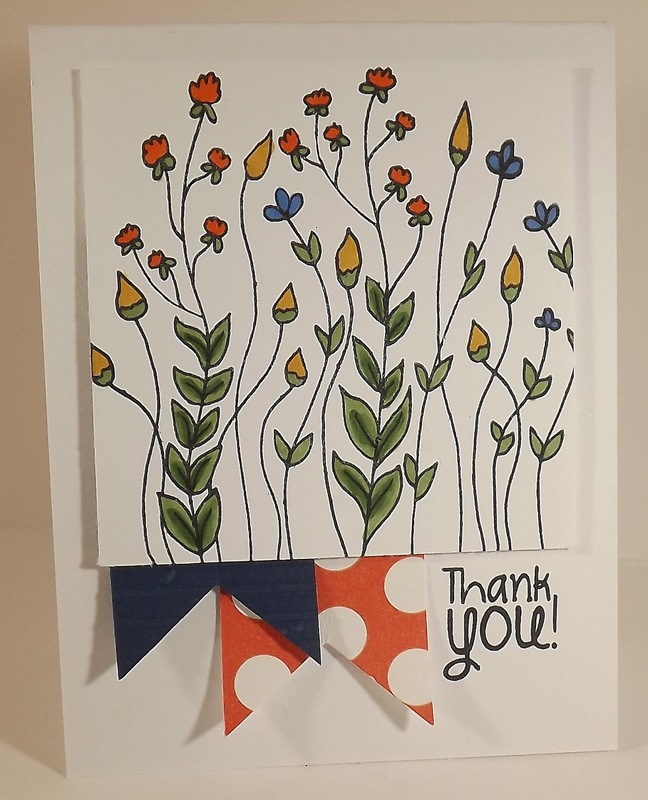 For my card, I used a stamp from Wplus9 Design Studio, Flora & Fauna. Wplus9 is a new company for me and I am seriously impressed with their designs, coordinating dies, and quality. This company is sure to be one of my new favs! 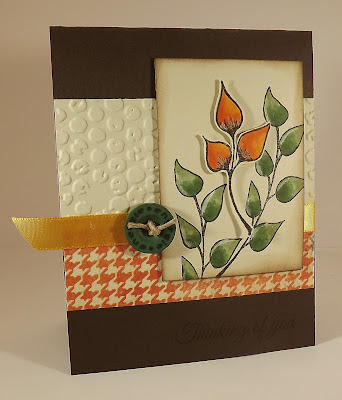 To create this card I embossed the image in white embossing powder (oh, on Inkssentials stamp paper...LOVE this paper! A stamper's dream!). I then used Distress Inks to watercolor the image. (Smear some ink on an acrylic block on non-stick craft sheet and then use a watercolor brush to pick up the ink.) The Specialty Stamp Paper held up amazingly well to the watercoloring...not even a hint of warping! 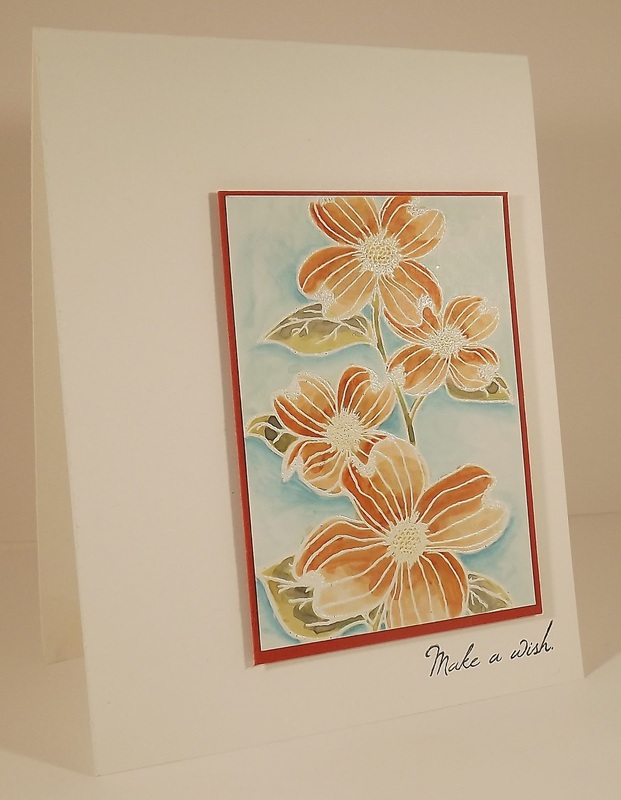 Once I was finished coloring the flowers...I just couldn't bare to use DP on my card so I just mounted on orange cardstock and added a sentiment, from Sweet 'n Sassy. So...how about some more fabulous artwork? Check out the goodies the eTeam are sharing and enjoy the hop! 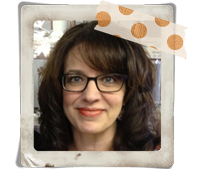 Kim Schofield - Owner - You're Here!! Sorry I've been MIA lately...I have been literally chained to my computer, working on entering new product in to the new store, working with the new team, making plans for the big eclectic Paperie re-launch on August 15th!! Be sure to check back on the 15th for the BIG reveal!! 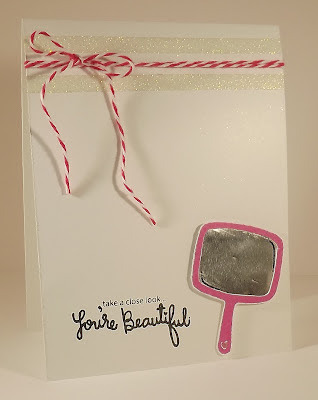 Welcome to the Sweet Stamp Shop second release day sneak peek!! I'm so excited to share my projects with the Sweet Stamp images...they are so adorable!! This 'sweet' image is no exception, isn't this mermaid so cute!? 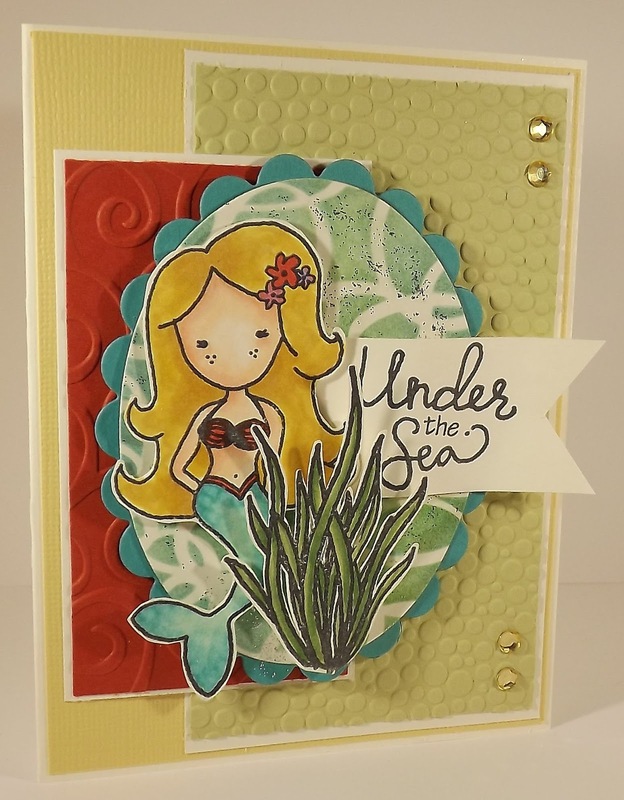 It's from the new set, Under the Sea, which includes the images shown on my card plus a few more...Can't wait for the full review! 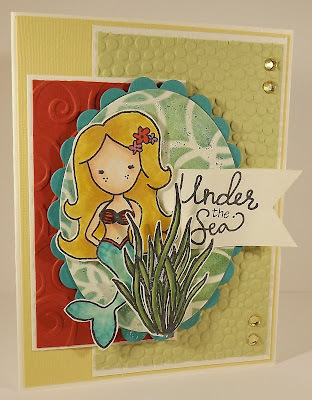 For this card I used the Mini Ringlets stencil from The Crafters Workshop to create the background behind the mermaid (I thought it looked like bubbles!) 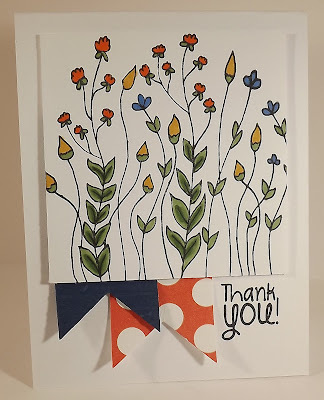 I used Distress Inks and a blending tool to add the ink color and then just a hint of silver Stickles for a little bling. The image was colored with Copic markers and I used a colorless blender, also from Copic, to add a bit of texture to the mermaid's tail. 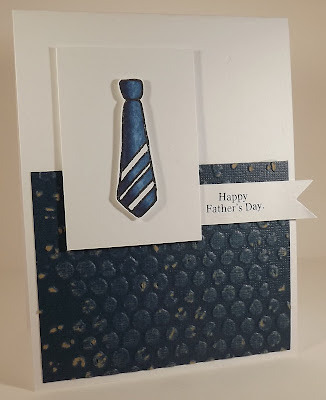 My cardstock was embossed with Sizzix embossing folders. Fun stuff!! So what else is on tap for today's blog hop...The opportunity to win a prize package worth $300!! Check out the Sweet Stamp blog, links listed below, for full prize details. 1. Hop along and comment (with unique comments) on the daily release blog hop - started yesterday. 3. Grab our blog badge and add some *sweet* support to your blog! 4. If you're not already- Follow us on Facebook and Twitter! Supply List: All products, with the exception of cardstock and stamps, from eclectic Paperie. With all of last week's activities and news I completely forgot to tell you about Sweet Stamp Shop stamps! I'm on their design team! WooHoo!!! Seriously excited! 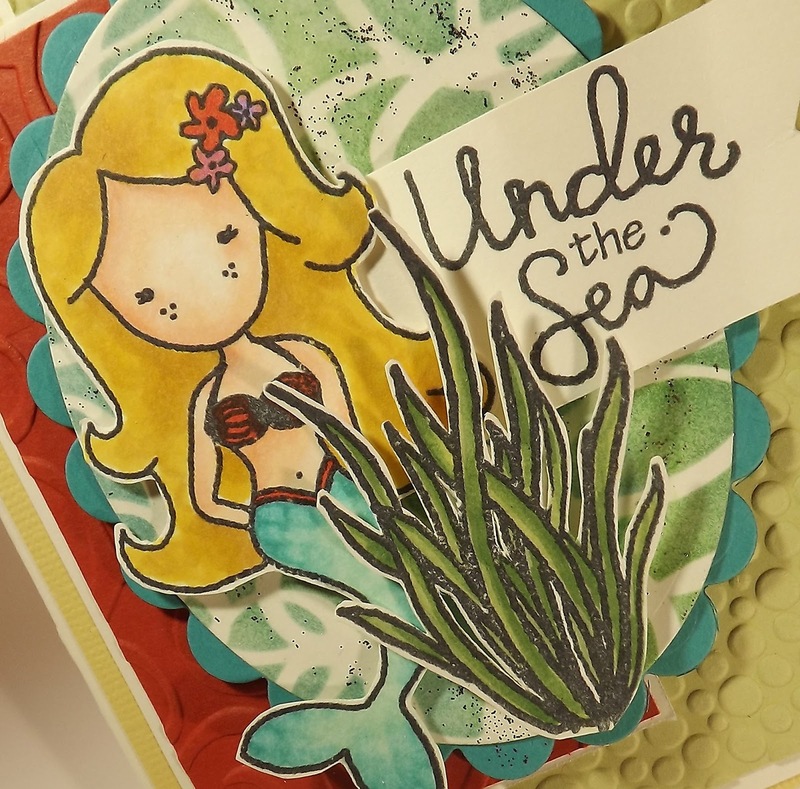 Sweet Stamp is a relatively new stamp company and they have some of the cutest designs...I love them and can't wait to show you more projects! Check their blog for details on the DT announcement and stay tuned for the full release! I had some time to play with some new products a few night's ago. One major benefit of owning a store is having the opportunity to work with new products! WooHoo!! One of those products is stencils. Many years ago I used to use the metal stencils and a stipple brush to create my name image (who remembers those?). However, The Crafter's Workshop stencils are much larger (come in a variety of sizess) and are plastic. Since this is a new product for me, I wanted to get my hands on a few and spend an evening just playing! First, thank you all so much for your kind words and congratuations offered yesterday! I'm so excited about this new adventure and can't wait until all of the changes (and NEW product are in place!!) Be sure to check back here on August 15th for more news!! My first card features the Leaf Silhouettes set...ohhhh leaves and silhouettes, all in one set! It makes my heart go pitter patter! 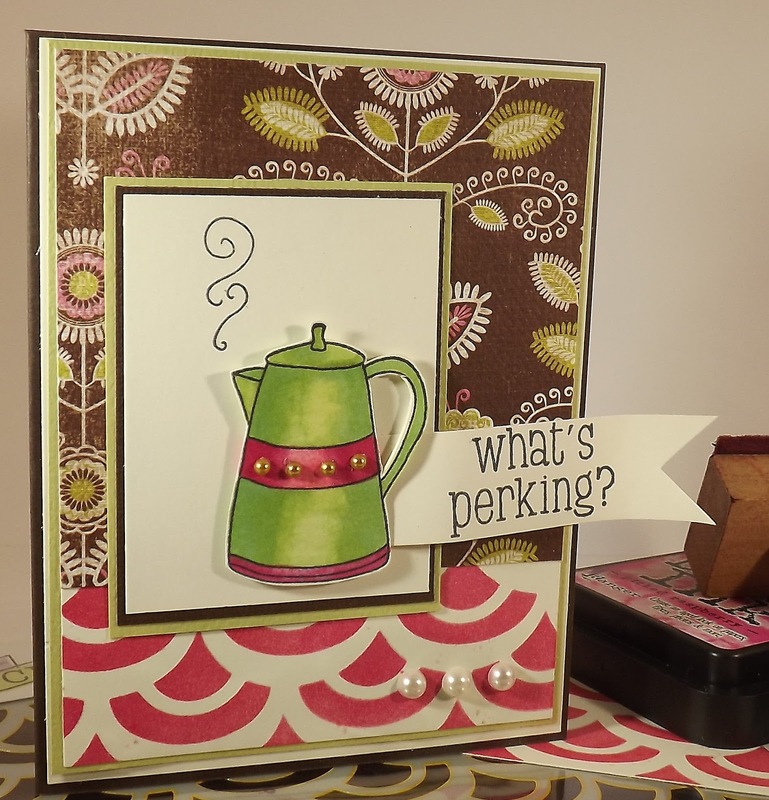 I paired this darling set with papers from Imaginisce and ribbon from American Crafts. I used three colors of Distress Inks (Aged Mahogoney, More Mustard, Rusty Hinge) and for the leaves and matched the leaf colors to those in my paper. My second card features a stunning image from the new Tree Background set. I kept this card fairly simple, choosing to focus on the tree image. I used a circle mask to create the moon and again used Distress Inks and a blending tool to add the sunset. The sentiment on my card is from the True Friend set. So...what's in store for today's blog hop? Comment on each blog on the hop and be entered into a drawing for a GRAND PRIZE of two stamp sets, of your choice, from today's release! But that's not all...you also get to see all the crafting goodness on the other DT blogs, check it out here! Enjoy!! So...guess what? I bought a company...That's right!!!! 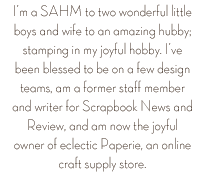 That's the big news that I've been keeping for so long, I purchased one of my all time favorite online craft supplies stores...eclectic Paperie! I can hardly contain my excitement and I'm thrilled to finally share the big news! There are a ton of changes coming to the store...new team, new design, new products...so I have a bunch of work coming up and a big re-launch scheduled for August 15!! So mark those calendars for August 15 and be sure to visit the eP blog on the morning of the 15th for all of the details!! Welcome to the new eP friends! !